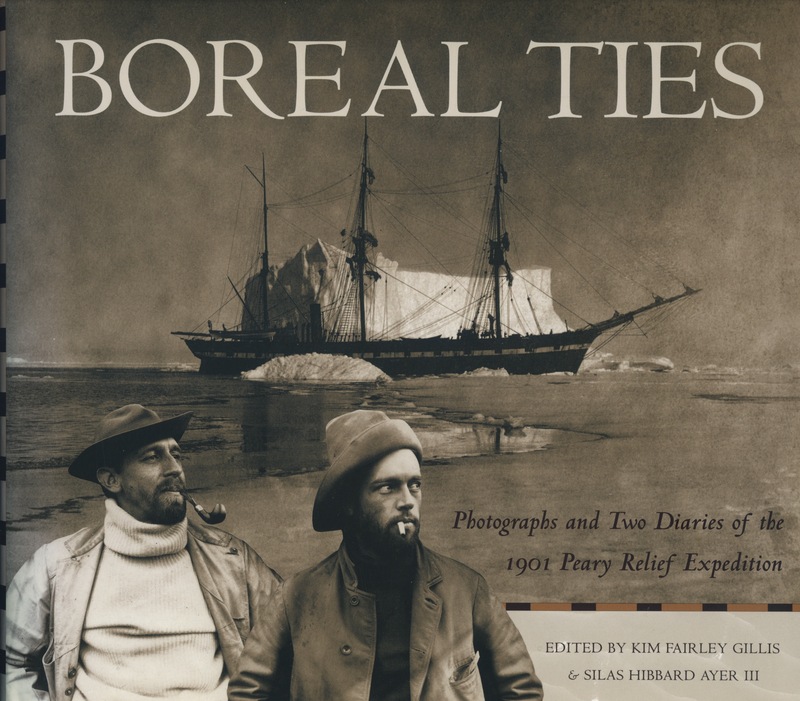 While I was writing Between Two Worlds, I returned again and again to the stunning photographs in a gorgeous book called Boreal Ties: Photographs and Two Diaries of the 1901 Peary Relief Expedition, edited by Kim Fairley Gillis and Silas Hibbard Ayer III. Its panoramic shots of the towering cliffs and massive ice floes of the Greenland Arctic set me in the mood to write. 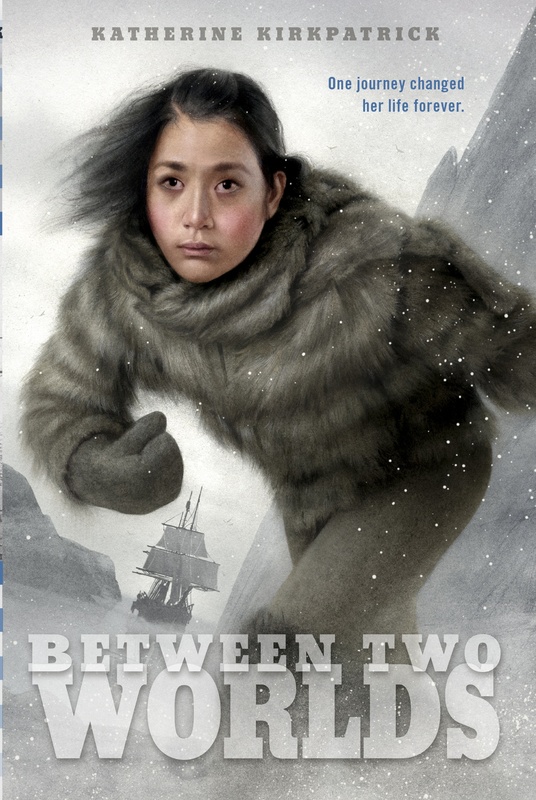 And best of all, the book’s informal shots of both Inuit and Westerners offered me a rare chance to view my main characters: Inuk girl Eqariusaq, also known as Billy Bah; Robert E. Peary’s wife, Josephine; and his daughter, Marie. The photos and journals were created by two New York businessmen, Clarence Wyckoff and Louis Bement, who journeyed to the Arctic as what we would call today “adventure tourists.” Explorer Peary’s ship Windward, carrying among other passengers Peary’s wife and daughter, did not return to America as expected in the summer of 1900. So the following summer Peary’s financial backers in New York arranged for a relief party, journeying to the Arctic on the steamer Erik to investigate. Paying a fee of $500 each, Wyckoff, 25, one of Peary’s supporters and a manufacturer of typewriters, and a friend, Bement, 35, a salesman of hats and caps, joined the expedition. Cover of Boreal Ties, edited by Kim Fairley Gillis and Silas Hibbard Ayer III, published by University of New Mexico Press, 2002. Louis Bement, left, and Clarence Wyckoff, right, with the icebound Erik in Melville Bay, Greenland. Copyright © Kim Fairley and Silas Hibbard Ayer III. The businessmen traveled with multiple cameras, the latest and best Eastman Kodak had to offer. Though not professional photographers, Wyckoff’s and Bement’s unique images far exceed Robert E. Peary’s own photographs both in technical and artistic qualities. While the adventure tourists enjoyed nearly three months of intense sunshine, Peary often took his tripod and old glass plate cameras out in typically poor Arctic weather. Fortunately for Wyckoff and Bement, they weren’t in Peary’s employ, or else they wouldn’t have been permitted to have cameras. Always thinking of public relations and secretive about what he was up to, Peary kept tight control of all images taken on his expeditions. (He made a rare exception when he allowed Matthew Henson to publish a few photographs in his 1912 autobiography). The businessmen endured maggots in their soup, hives, and head lice. Three weeks into the journey all the meat on ship went rotten and had to be thrown overboard. More than once, the Erik’s incompetent crew almost steered the ship into mountain-sized icebergs. After the voyage, the friends pasted copies of each other’s prints into their scrapbooks; in some cases they annotated who took the photograph, and in other cases not. 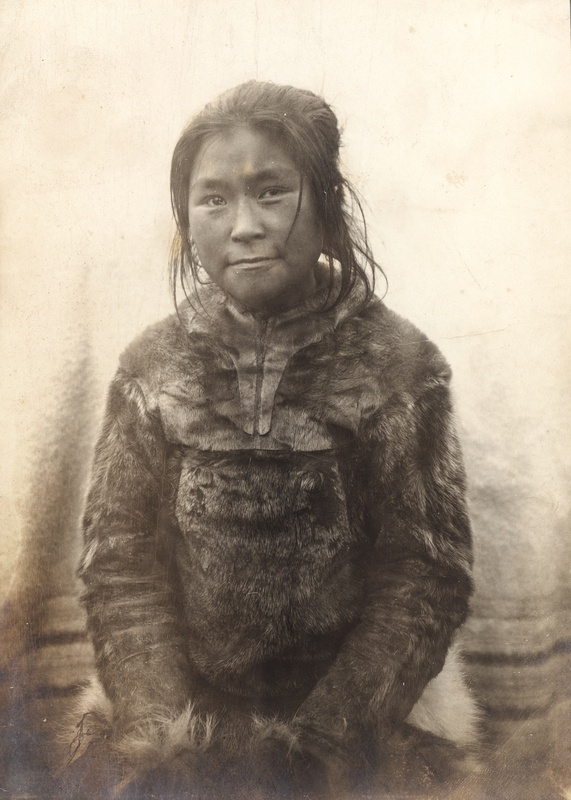 The Wyckoff photo labeled “Billy Bah, a girl of 16” offers a vivid portrayal of a young Inuk woman looking straight at the viewer. She seems pleased; it appears she feels appreciated by the photographer. There is reciprocity between them. It is a close-up portrait taken in a spirit of friendliness. Billy Bah, age 16, by Clarence Wyckoff, 1901. Copyright © Kim Fairley and Silas Hibbard Ayer III. This photo, more than any other, worked on my psyche and helped many images and facts coalesce as I created the main character in Between Two Worlds. And later, when the story was complete, illustrator Sam Weber used this same picture as reference to recreate Billy Bah’s face on my book jacket. He modeled the Windward, which appears in the background, after another image in the collection. Historians are lucky to have Wyckoff and Bement’s rare and extraordinary record of their voyage, and as a novelist I absolutely cherish my copy of Boreal Ties.The businessmen were not only in the right place in the right time, they were paying attention. To take such photographs, they clearly put themselves on scene, front and central, entering into a landscape and into the lives of people they depicted. This fundamentally is what making art is all about. Keystone glass negative of explorer Robert E. Peary’s ship Windward (right) and his expedition’s relief ship Erik (left), 1901. Copyright © Kim Fairley and Silas Hibbard Ayer III. The cover for Between Two Worlds, copyright © 2014 by Sam Weber.